Returning under his own name after recent activity as Isomer Transition, Type's very excellent RJ Valeo resumes more experimental duties, momentarily setting aside his preoccupations with techno formats. 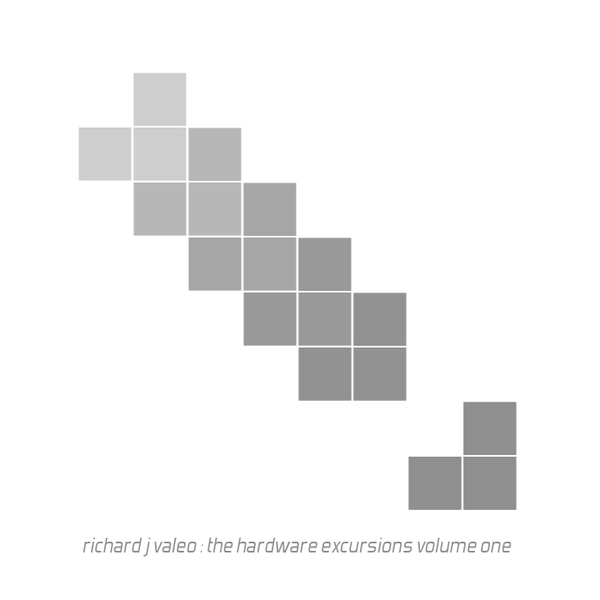 Hardware Excursions Vol. 1 finds the New York producer exploring deep and extended freeform synthesizer explorations, at time bordering on drone or even outright noise. You can hear a bit of a sci-fi influence creeping into the music, with combining elements of low frequency, motor-like oscillations and higher pitched, modulated bird-like timbres making up the largest part of Valeo's minimalist sound palette. Structurally these pieces are very liberated, unburdening themselves from anything that might be termed 'form' right up until the distorted industrial rhythm that fires up towards the end of 'Excursion Two'. The result is 16 minutes of dense, surprising and immersive electronic music of the highest order. Very highly recommended.